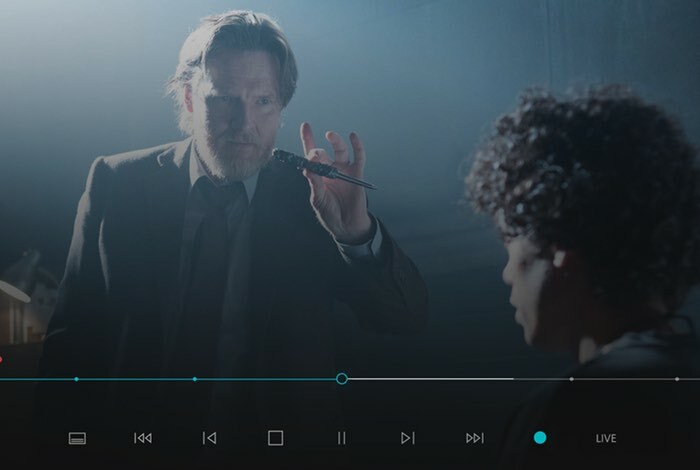 During Microsoft’s gamescon 2015 presentation the company unveiled one of the most requested live TV features from Xbox users will soon be arriving, Xbox One DVR for Over-the-Air TV. Once launched the new Xbox DVR feature will allow users to record live over the air TV, schedule recordings and even take TV shows “on-the-go” and will have no impact on gameplay activities, says Microsoft. With DVR for Over-the-Air TV, you’ll never miss a minute of your favorite TV shows, movies or sporting events when you want to play a game or need to step out. Once your Xbox One is set up for over-the-air TV*, it’s as easy as plugging a USB hard drive into your Xbox One console and recording your content. And by recording content to an external drive, there’s no impact on your gameplay activities or ability to save to the console. *After purchasing the necessary hardware, there are no monthly service fees for OneGuide or over-the-air DVR services. DVR for Over-the-Air TV will be available in select countries where over-the-air TV is available in 2016. Schedule Recordings On-The-Go – You can schedule recordings from OneGuide on your Xbox One console, the Xbox app on Windows 10 devices or with Xbox SmartGlass on iOS and Android devices. You can also add, review and edit your scheduled recordings from your PC, tablet or phone while you are away from home with ease. DVR Collections – The amount of TV you can record and save is limited only by the size of the hard drive that you plug into your Xbox One. There are no time limits or other constraints, so you can DVR something and save it forever, enabling you to build an amazing collection of your favorite TV shows, movies and sporting events.